After dragging myself out of bed this morning I forced myself to get down to MUSC for my tempo run. I decided to take it easy today and just run what I felt like running. I ran with two other runners and we started with a slow first mile (10:47) and picked it up a little for the second mile (10:07). I left the group after two miles so I could pick up the pace and run a total of six. 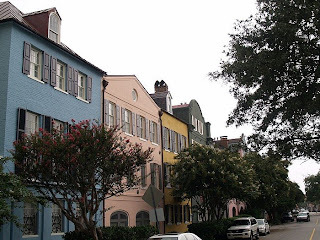 I ran past Rainbow Row and the Market then turned back (at three miles) and ran back down the Battery to MUSC. My splits were (8:24, 8:45, 8:55). I slowed down for the last mile to cool down (9:41).